For Chinese New Year we celebrated by eating a yummy lunch cooked by our great Chef Tom, which was the traditional sweet and sour chicken with rice. The children really enjoyed this meal and there was hardly any left overs. 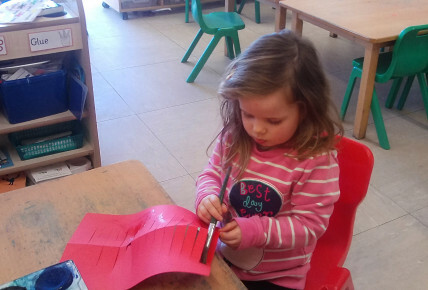 The children talked about this year being the year of the Dog and pre-school made a chart to show everyone different animal according to their Birth year. 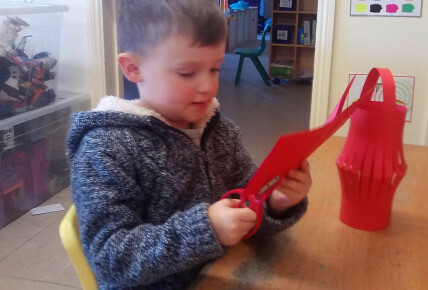 The children made and decorated their own Chinese lanterns using paint, glitter and pencils. 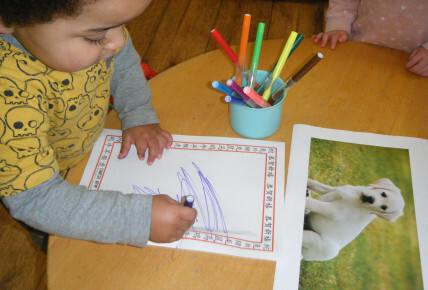 The children also drew pictures of Dogs and dragons. 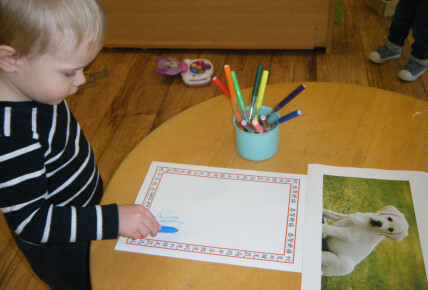 The baby room done some lovely Chinese colour paintings, using a variety of colours.